Luke is 8 weeks old today! 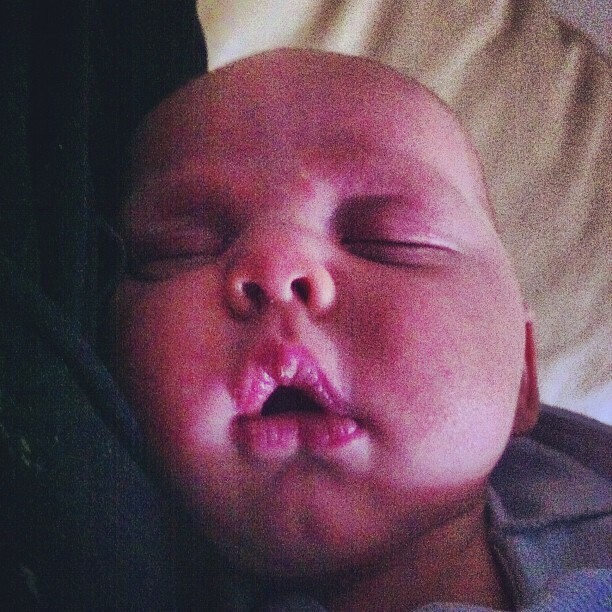 I have missed blogging and am so happy to be back from my extended maternity leave. Sorry for dropping off the face of the planet these last couple months, but it was necessary for my own mental health as I juggle life with a newborn and a toddler. I have been working on my birth story along with editing pics from the birth and hope to have something up sooner rather than later. God has been so good these last 8 weeks and we are starting to get into a groove. The first couple weeks of Luke’s life were a whirlwind of thrush, plugged ducts and food allergies that caused Luke to have a severe eczema rash, projectile vomit and bouts of colic. All is well now and we are seeing an amazing chiropractor that has helped to identify Luke’s sensitivities. I am avoiding most grains (gluten-free oats, millet and quinoa are ok, while corn, rice and gluten are big no-nos), all dairy, chocolate and limited coconut products. Luke had a yeast overgrowth in his digestive tract, so I am eating a low-glycemic, high-fat, high-protein diet, similar to the paleo or primal diet. 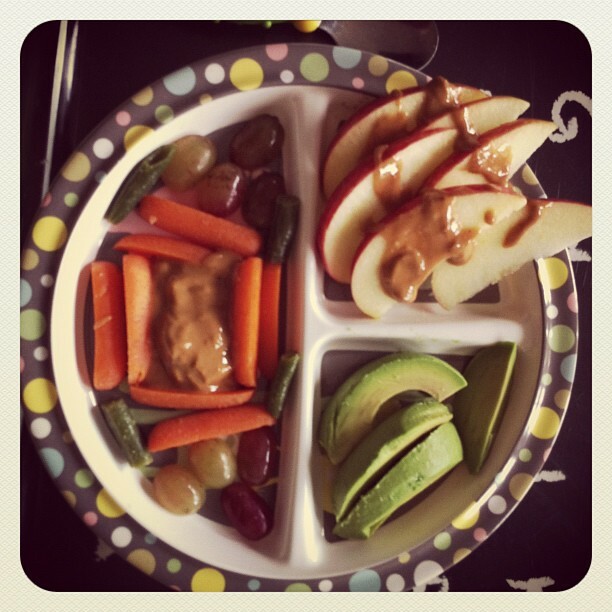 His symptoms are improving and after a couple weeks of eating this way, I am beginning to feel comfortable getting in enough calories without heavily relying on nuts and coconut. I am working to transition Matthew to a similar diet, as he has an overgrowth of yeast in his digestive tract, as well. Please let me know if you have any tips for getting a toddler to eat his veggies, as he has a limited veggie comfort-level of green beans, peas, kale chips, celery with peanut butter, roasted broccoli and carrots. Pumpkin Amazeballs – I have made these twice so far! Matthew gobbles them up three at a time! 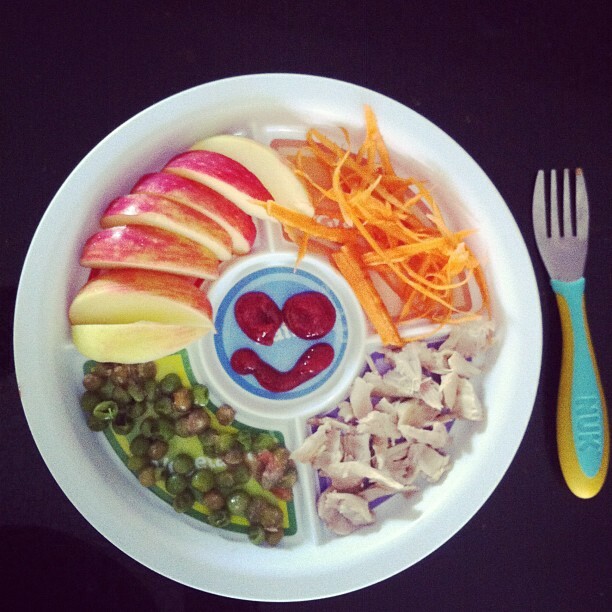 Easy lunches – Matthew eats so much better if his meals are presented in a fun way. Harvest Cake – I made this for Luke’s baptism this weekend and it was delicious! Scones and muffins from the The Gluten-Free Almond Flour Cookbook – these have been a grab-and-go staple around here for the last few weeks. I tend to sub a combo of banana/pumpkin + coconut oil for the grapeseed oil and use honey in place of agave in the recipes. Almond Flour Bread – perfect for toddler lunches and turkey sandwiches. Hi Maria! I have been a fan of your blog for a few years now. I’ve never reached before, but I have a 7 month old son with almost EXACTLY the same issues! We battled with thrush for about 3 months, and I’m now a breastfeeding dairy, egg, gluten and grain free momma (coconut too, weird!)! His issues have been trying to say the least. While I would never wish this on anyone, I’m excited to learn more about you and baby Luke, and it feels good to know that I’m not alone. I’m making your pumpkin amazeballs TODAY! Keep the recipes coming, I’ve been in such a kitchen rut! Also, I would love to hear about how you’ve managed the yeast, my son’s symptoms seem to be coming back lately and I wonder if it’s yeast again. Anyway, congrats, he is adorable! Thank you so much for reaching out, Callie. I have heard that yeast can be very difficult to get rid of, but am hopeful that the dietary changes will help! I am trying to keep things in the kitchen simple, but like to have quick, portable options for myself and my toddler at the ready… I promise to post about kitchen “wins” that we experience along with resources I find to be helpful in our new lifestyle.